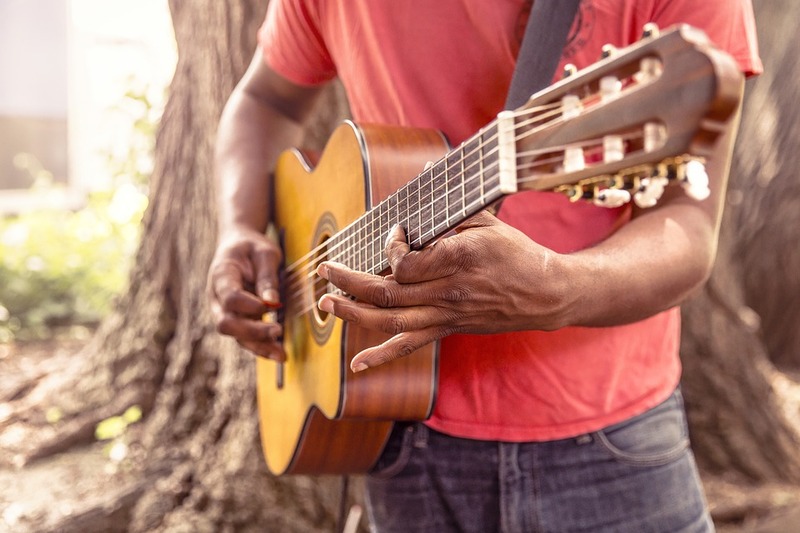 Guitars, along with violins and recorders are one of the most common musical instruments which are left in closets for years as the result of a failed hobby. Equally however the guitar is one of the most popular instruments that people would like to learn and if you fall into this category then it is time to get that axe out of the closet and start playing. I was chatting to guitar teacher and touring musician Tom Hess recently who gave me some tips on how to improve my guitar playing ability and now I play just like Hendrix, ok, not strictly true, but I have improved a lot and here is how you can too. I watched an interview with Slash who says that he has a fear that if he doesn’t practice the guitar each day, he will lose the ability to play. That is quite a statement coming from someone who you would never think would need to practice daily and if he needs to practice each day, then you certainly need to as well. Set an hour or two aside each day to hone your skills, you cannot expect to not play for weeks on end and then pick it up and play a tune. You simply must put the practice hours in. There are so many free tabs online which you can find to play your favorite song, rhythm or blues lick and you should be utilizing these websites if you want to enhance your playing ability. Most of us cannot read music and learning to do so can be tough, tablature on the other hand is very simple to learn and understand and you could be playing your favorite song in no time. There is absolutely nothing wrong with using lessons and tutorials online in order to help improve your guitar playing ability. YouTube in particular is one such channel where you can see step by step guides for different songs, playing styles and tips and tricks on how to be a better guitarist. There is no honor in being ‘self-taught’ is it to be respected for sure but the goal here is to be a good guitar player and as such, you should use all of the help that is available to you. It is all well and good sitting in your room plucking away but if you really want to test yourself and your guitar playing abilities then you need to play in front of people. It doesn’t matter if this is friends and family or a bar full of people, playing in front of a crowd induces a little bit of fear and you can use this to improve how you play. You may find that you learn more about how good a guitarist you really are when you are playing in front of a live audience.